H. P. Lovecraft (1890-1937) is commonly regarded as the leading author of supernatural fiction in the 20th century. He is distinctive among writers in having a tremendous popular following as well as a considerable and increasing academic reputation as a writer of substance and significance. This encyclopedia is an exhaustive guide to many aspects of Lovecraft's life and work, codifying the detail… ed research on Lovecraft conducted by many scholars over the past three decades. 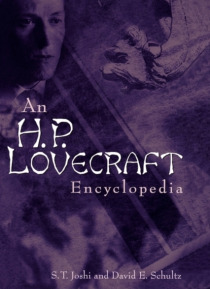 It includes hundreds of alphabetically arranged entries on Lovecraft and presents extensive bibliographical information.The volume draws upon rare documents, including thousands of unpublished letters, in presenting plot synopses of Lovecraft's major works, descriptions of characters in his tales, capsule biographies of his major colleagues and family members, and entries on little known features in his stories, such as his imaginary book of occult lore, the Necronomicon. The volume refers to current scholarship on the issues in question and also supplies the literary, topographical, and biographical sources for key elements in Lovecraft's work. As Lovecraft's renown continues to ascend in the 21st century, this encyclopedia will be essential to an understanding of his life and writings.